Transform your personal appearance by styling the hairstyle in a numerous way. Western culture puts emphasize on everything especially personal appearance as it is the strongest accessory that dramatically changes the personal appearance. Tiny modification in the face can easily perceptible and reconstruct the look of any person. Most of the people judge the person by their first impression so it is important to have a decent style. Wedding season is just around the corner so you will wonder what hairdo suits according to your face shape. Pastels and refreshing light colors of dresses are on the trend nowadays and same as suits, the hairstyle is also required attention relatively. 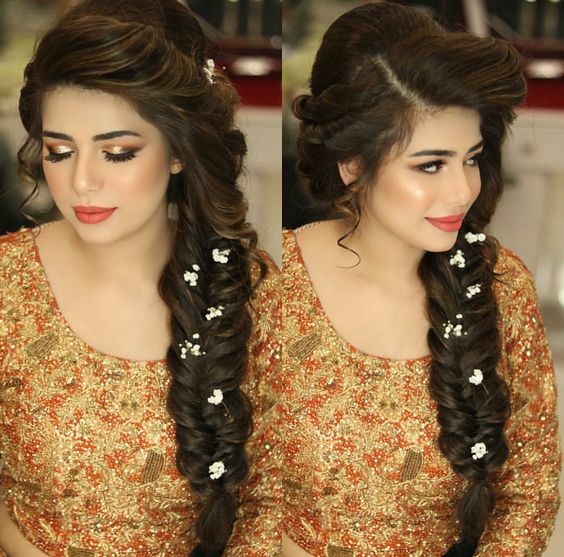 It is quite difficult to select a comfortable and occasion wise hairstyle that gives beautiful look. If you are confused about picking up right style, you are in the right place. This article will go through different hairstyle that will unlock the universe of your choice. 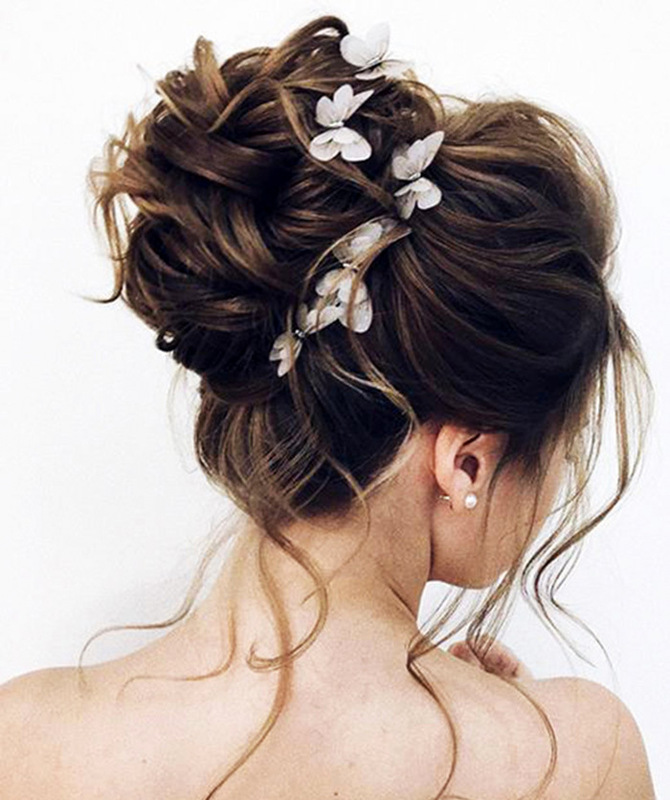 This messy style bun is latest in trend and it is perfect for wedding reception or engagement. Even if you have lower hair volume, the desired volume can appear with help of this style. Benefits of this messy double bun is that keep your hair tied and provide beautiful look. Jazz up your look by wearing breathtaking medium floral broach into the base of your hair. But first, curl your hair with curler machine and hairspray to have long-lasting style. This can be suitable for heavy salwar or gown. You can use a different length of hair broach according to face cut and hair volume. 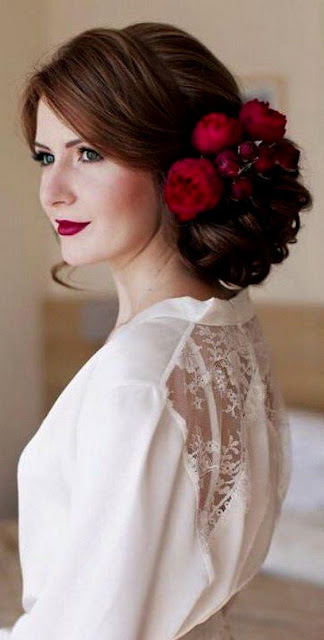 Messy low side bun with several flowers can suit with almost all occasion wear attires. Creating side bangs along with fringe gives dramatically appearance. 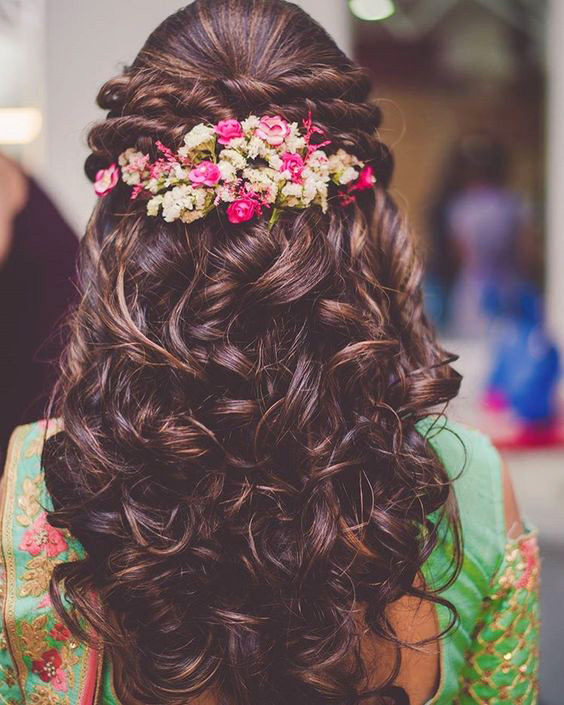 Do this hairstyle to become the centre of attraction! 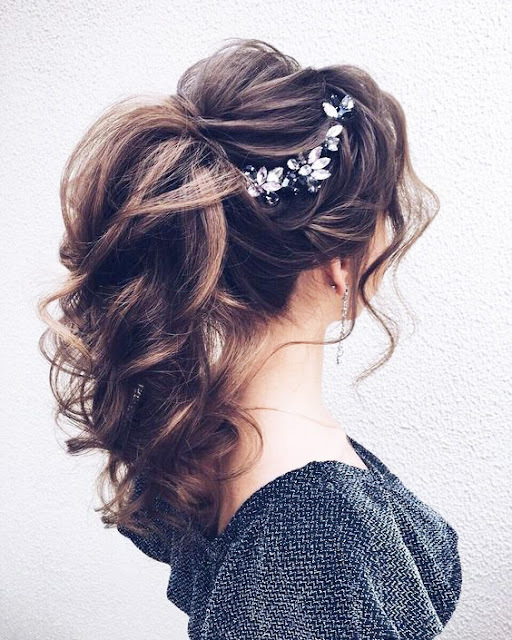 This hairstyle is perfect along with any outfits. Twisted and puffy hair shows your hair volume more than available and gives relaxed & easy going vibes. Add tiny colourful flowers overall the hairdo can add the grace that can be suitable for any gathering function. You will love this delightful puffy top messy braid hairstyle with curly fringe. Make a puffy bun at crown and pin-up twisted hair with pink flower brooch. It is necessary to use hair gel and hairspray to maintain hairstyle along with flawless finishing. Show off your gorgeous hair by taking messy high bun with multiple fringes in an elegant way. It is absolutely nice looking hairstyle on each type of stylish dress especially gown. It gives sophisticated! Half up and half down waterfall hairstyle is the most popular for formal as well as casual functions. Create this style in few minutes and advantage of this braid is that it can be done on any hair length and face shape. Make this latest addiction and show your stylish glance. The elegant long ponytail hairstyle is perfect for a wedding or gathering events. Not only it gives stylish look but also provide you comforts. 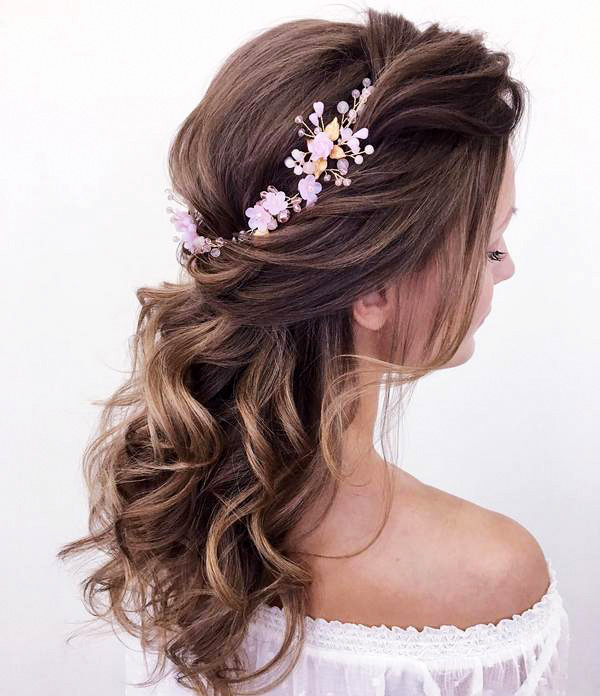 Select this trendy hairstyle for the chic bride and become the attention of others. The fishtail braid is one of the easiest braids but it is a time-consuming way. 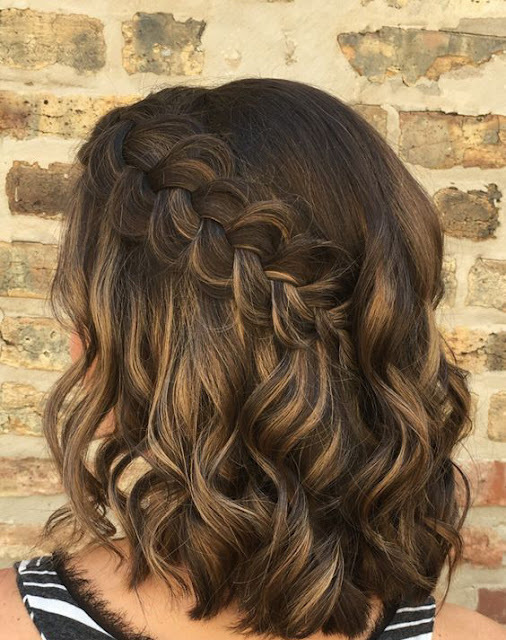 This braid style incorporates hair into both sides by crossing the sections underneath that gives a charming and romantic look. You can use this style for formal as well as informal events. 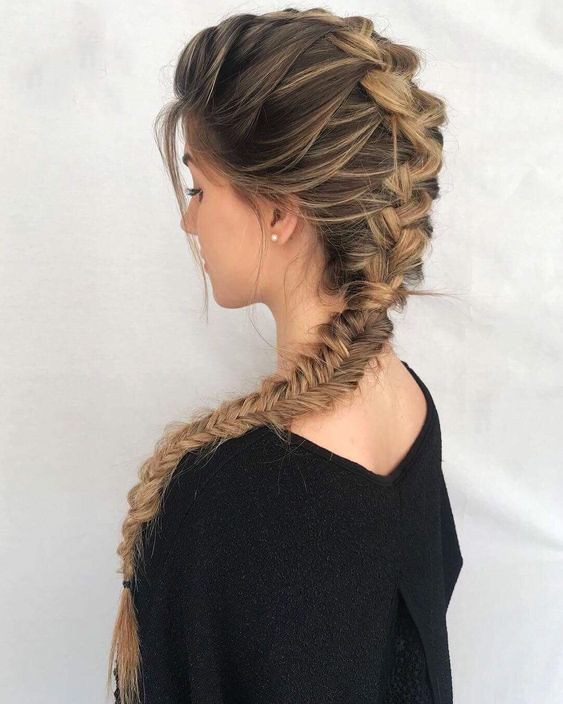 Those are fashion disaster can try this wonderful fishtail braids. The Free/Open hairstyle can change your appearance completely and provide a modish look. If you confused related to hairstyle, select this one as it is easy to take an evergreen statement. Use pearl pin/ stylish pin to have a classy glance.